KoopaTV: It's Time For Adventure, Diamond and Pearl! The Sinnoh region is famous for its SUPER CONTESTS. The very same format that KoopaTV has endorsed the Republican Party use in its presidential primary system, instead of what they really did which was a horse-race mess. It sort of got traction in real life, but for the most part, it'll have to stick to Sinnoh. Omega Ruby and Alpha Sapphire brought back their contests, but renamed the Smart category to Clever. This was a bad decision created by political correctness too afraid to rate people by how smart they are. If Smartness is up for grabs, what about Beauty, Cool, Cute, and Tough? Beauty may be ruined by the fat acceptance movement and other eye-defying social justice efforts. I THINK the others are safe. There's a possibility that the developers will believe that The Wonderful 1237 appropriated the Super Contests, and not wanting to be associated with The Wonderful 1237 or KoopaTV, will ditch the activity altogether. That would be... quite the undesired consequence. Pokémon Omega Ruby and Pokémon Alpha Sapphire famously lack the Battle Frontier, despite the Hoenn region being famous for just that. Apparently that's because Game Freak guys Junichi Masuda and Shigeru Ohmori believe that people play individual games less than they used to, due to mobile garbage, so they shouldn't bother putting more and enduring content in the game since most people won't want to stick around. Pokémon Platinum had a Battle Frontier in it. Let me tell you: That's a lot more fun and enduring than the stupid Battle Tree at the end of Pokémon Sun and Pokémon Moon. If there's any reason to despise Earth Day and want to cause environmental destruction, it's the Battle Tree. CUT IT DOWN. And don't plant a new tree: Battle Frontier, please! In the Battle Zone! Specifically, the Battle Factory was great. Arceus has been getting a lot of attention lately, what with the Aether Foundation creating Type: Null (and then Silvally) as an attempt to imitate Arceus. Arceus still maintains His position as the Alpha of all Pokémon, having such a role in Pokémon Super Mystery Dungeon for the first time. Arceus stands atop the biggest dungeon of the game as the final Pokémon you'll meet, at level 100. Arceus's Multitype ability has had some updating with the introduction of Z-Crystals: Giving a Z-Crystal (say, Firium Z) to Arceus will change His type (to Fire) just like holding a Plate would (like Flame Plate). It's a little buff. Still, that's not enough to compete with the excessive power creep that has happened over the past decade. Arceus's 720 base stat total was the highest of all Pokémon back then. Now, there's Primal Kyogre and Primal Groudon at a 770 base stat total, and Mega Rayquaza, Mega Mewtwo X, and Mega Mewtwo Y at a 780 base stat total. Will they make a Primal Arceus? A Mega Arceus? Special Z-Crystals for Arceus? Some other weird thing with Arceus? You can't have the Alpha Pokémon be outclassed! That's just wrong. On that note, will Primal Dialga from Pokémon Mystery Dungeon: Explorers of Time/Darkness/Sky be canon in the Sinnoh remakes? Will Champion Cynthia have a Mega Garchomp? And what other Pokémon will be given Mega evolutions, if any? Mega Purugly, Mega Skuntank, and Mega Toxicroak for Galactic Commanders Mars, Jupiter, and Saturn, respectively? Will the Elite 4 members each get a Mega Evolution like the Elite 4 of Omega Ruby and Alpha Sapphire? ...Will there be a Mega Yanmega? One of the biggest travesties with Pokémon Omega Ruby and Pokémon Alpha Sapphire is how they tarnished the character designs from Pokémon Ruby and Pokémon Sapphire. The Team Magma and Team Aqua guys are totally different. Steven is a fop. Brendan looks better (anything's better than his original art), I guess. May looks worse. The point is that they're not afraid to totally redesign people, and it has mixed results. I'm worried what they're going to do with such visually appealing characters such as Dawn, Mars, and Cynthia. Platinum (winter clothes) Dawn is getting her OBJECTION! pose ready in case they do some horrible redesign of her. You look at what they did to Team Magma's Tabitha (they made him really fat in the remake) and it's entirely possible they don't think the Team Galactic Commanders are distinct enough, so they'll ruin Mars. This might happen alongside the ruinification of Beauty as a Super Contest category as a tribute to the fat acceptance movement! THEY'RE GOING TO RUIN MARS'S FIGURE. UGH. They'll think it'll be funny, and have fat-Mars go along with her fat Mega Purugly. Damn them! DAMN THEM ALL. ...Oh, it hasn't happened yet? Well... IT BETTER NOT. The article title was taken from the Pokémon Diamond & Pearl anime opening song. Not-so-coincidentally, that's his favourite game-based television show. 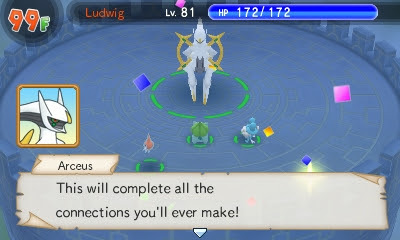 Ludwig really wants the Sinnoh remakes to succeed and be the best Pokémon RPG games ever made. They have fantastic base material to work from, but change for the sake of change is always a potential issue. How do YOU feel about Sinnoh remakes? Should KoopaTV even be writing about something that isn't announced and so far doesn't officially exist? The biggest hint for Sinnoh potential is the fact that Rotom, a Sinnoh Pokémon, plays a huge role in Pokémon Sun and Pokémon Moon. Might the Rotom Pokédex return? KoopaTV has the best coverage of that Marshadow movie possible: A LIVE REACTION LOG of the staff watching the movie! What Junichi Masuda was saying about mobile and game attention isn't a one-off thing. That's his philosophy now. I liked Platinum a lot, so I'd enjoy a Sinnoh remake. 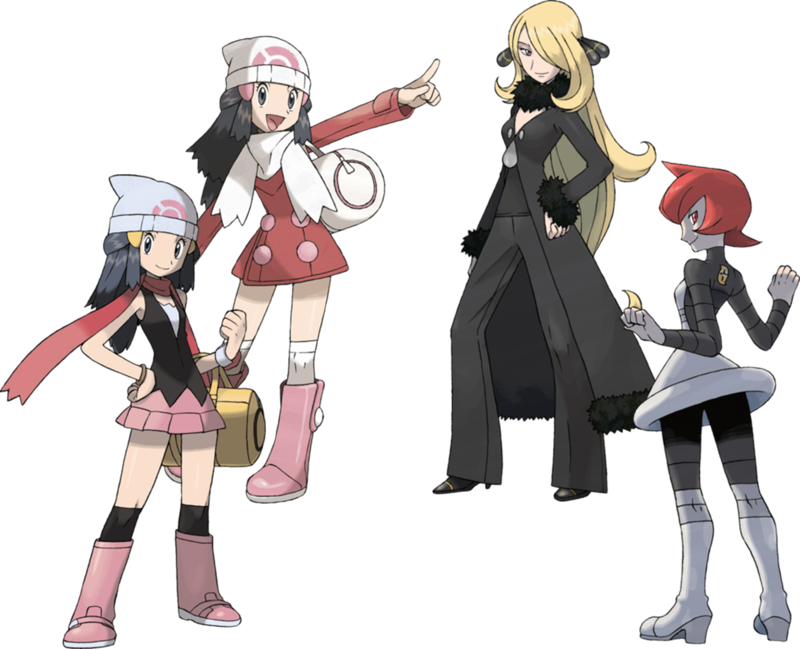 If they change characters, I hope they don't change Cynthia, because her design is pretty cool as it is. One thing not discussed in this article because it's no big deal if they don't do it, but I expect they will, is that they'll probably expand a bit more on the story from what Platinum did. Which'll be nice. I'd rather the beneficiaries be existing characters rather than some new character like ORAS did. ...It'd be quite stupid if they have Cynthia having the same design across, what, four different regions, some of which are freaking TROPICAL, and then all of a sudden they would change her in her home region's remake. They've had Looker be the post-game for the past several games, so what will they do for the region that originated Looker? I'd really like Game Freak to not shovel Cynthia into every Pokémon game. I love her, she has a great design, great music, but still. I see you capitalizing on every pronoun reference made to Arceus. That's a pretty great attention to detail. I honestly don't see me buying the Sinnoh remakes on Switch... maybe? I still have my Platinum and my sister has her Pearl. I do hope to see some Pokémon Stadium-styled multiplayer on the Nintendo Switch. I assume they'll be on the Nintendo 3DS, not on the Switch. Why would they be on the Switch? They'd be on the 3DS because stuff in the same generation (Sun/Moon's) is always on the same system. Looker is too good looking. He's probably The Doctor, hence why he's in every game since Platinum. I think we're repeating the DS cycle for the next generations now: a new Pokémon game for the system, a remake for the Pokémon games of the past three generations (maybe fourth on Switch? ), another new Pokémon game, and a pair of sequels for the Pokémon games. Also, I know I've already praised it, but you're really fast on deleting bots! So we'll permanently be having two generations per system?